Skyline Eco-Adventures as a company puts a very heavy focus on the environment. We love and care about the islands we call home and want them to stay beautiful for many generations to come. 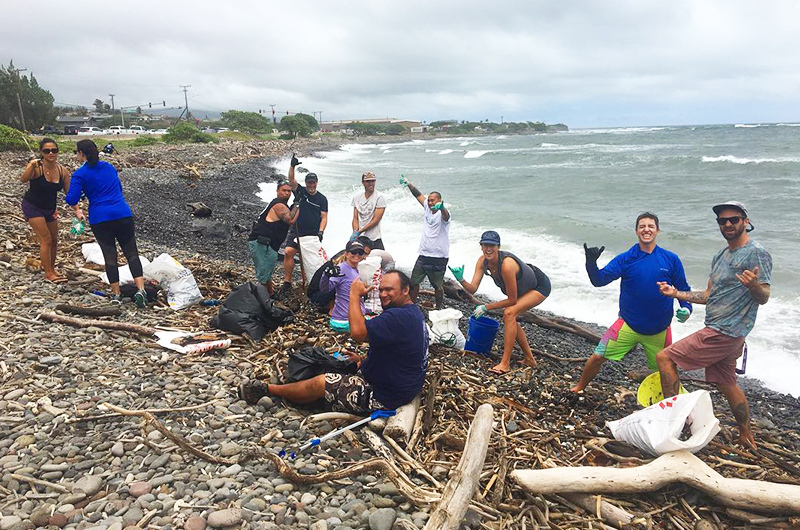 As part of this mission to protect and preserve the environment, we started an initiative called Wipe Out Plastic, share stories about Hawaiian culture every day, and work to make our zipline tours even more eco-friendly than they already are. At Skyline, we work very hard to reduce our carbon footprint. This year alone, we planted 1,350 native plants. We also cleared 1.9 acres of invasive eucalyptus and wattle forest. 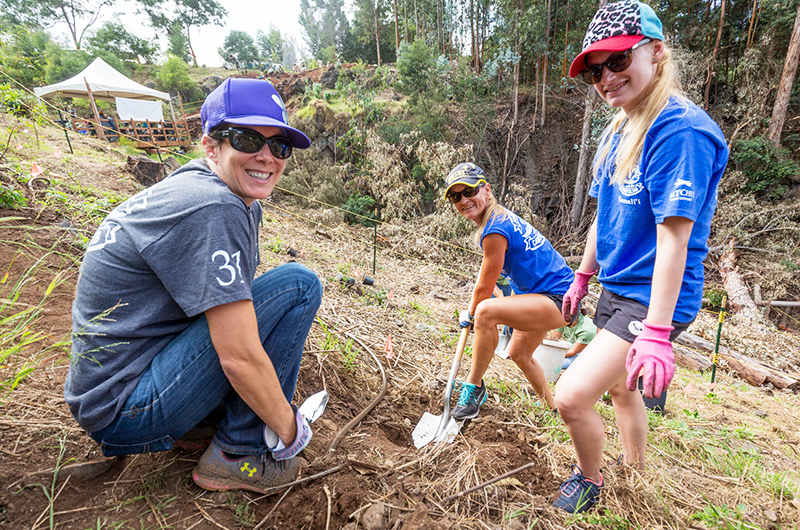 Our team spent a total of 761 hours volunteering for various conservation initiatives during the course of 2018. We have accomplished more conservation efforts this year than any other year in the history of our company, and are excited to continue this trend in 2019. We love ziplining because it is has a low impact on the environment and also is a way to show people all of the amazing plants and animals that share these islands with us. 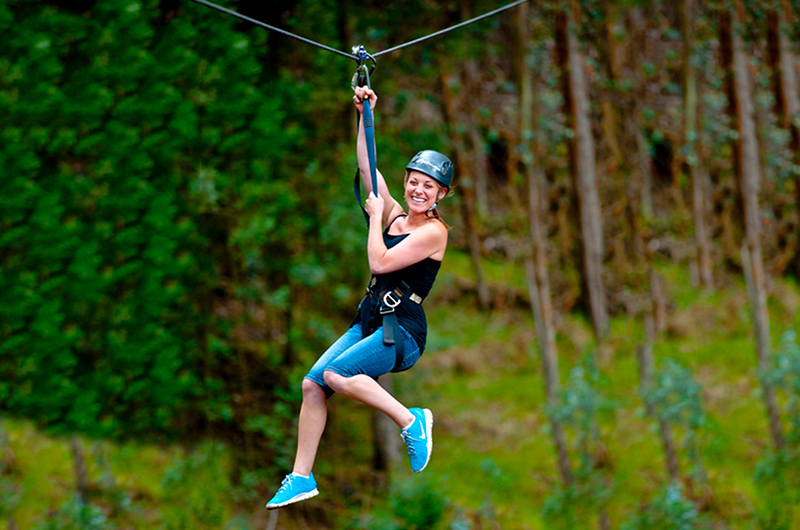 Ziplining is defined as an ecotourism activity. Ecotourism is “tourism directed toward exotic, often threatened, natural environments, especially to support conservation efforts and observe wildlife,” according to dictionary.com. One of the many goals of ecotourism is to increase awareness and respect for the local culture and environment. Ecotourism also contributes to the preservation and betterment of local populations around the world. In addition to respecting and protecting our local environment in Hawaii, we also spread awareness and education about Hawaiian traditions and culture. With each tour, our main goals are to make sure you have a lot of fun and leave the tour with an increased desire to help us preserve Hawaii’s unique culture and landscape. Thankfully, Skyline Eco-Adventures is not alone when it comes to a passion for protecting the environment. There are many places and companies around the world that focus on ecotourism. The most well-known place is Costa Rica. In fact, modern ziplining was developed by wildlife biologists in Costa Rica in the 1970s. Zipline courses offer guests a birds-eye view of the beauty of nature, without disturbing the natural environment. When you compare ziplining to other adventure travel activities, it is easy to see how ziplining has a low environmental impact compared to many other activities. Most other adventure travel activities require that people get up close to the natural environment which, in many cases, results in the environment being altered in a negative way. For example, if you go mountain biking you might accidentally disturb a native species or run over an endangered plant if you are not cautious. Kayaking and rafting are two other examples of adventure tourism activities that have environmental impacts like damaging vegetation when you do not launch from the designated spot. Or, the erosion of delicate marine features like reefs. This damage to natural environments happens if people don’t respect the land around them or if they enter undesignated areas during an outdoor adventure. 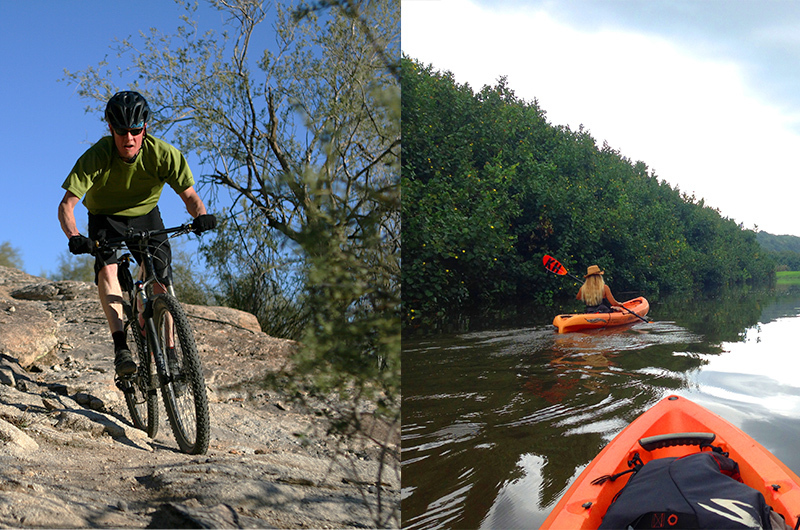 There are eco-friendly ways to enjoy kayaking and mountain biking, this simply involves being aware of the delicate species around you and staying in designated areas while you are taking part in these activities. In some cases, ziplining has been recognized as a sustainable alternative to deforestation. This is because the courses allow people to observe the beauty and need for places like rainforests. The ecotours also bring money into the local economy while increasing awareness for the importance and beauty of natural environments. Most people don’t think about ziplining as a concrete jungle activity. Instead, the assumption that comes to mind when you hear about a zipline tour is that you are going to get to enjoy the beauty of nature and escape man-made buildings and roads for a while. For us at Skyline Eco-Adventures, doing good comes just as naturally as having fun on every ecotourism adventure. We hope that you will join us on an adventure soon to learn more about doing good and having fun on Maui, Kauai, and Big Island.